The rings we made ourselves in the workshop are finished now. 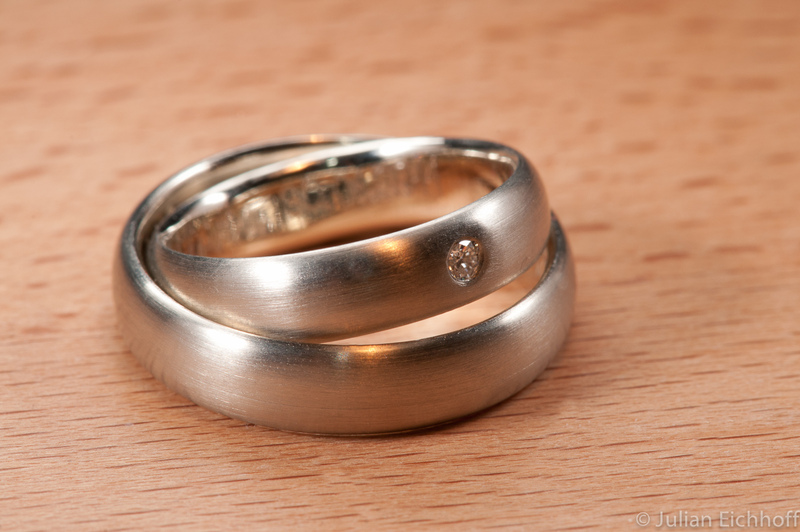 The goldsmith made the final touch – polishing, engraving and setting the diamond. 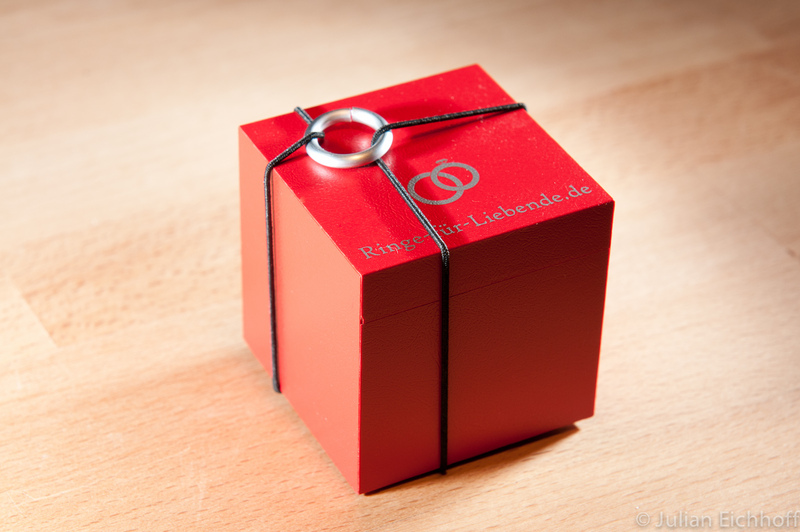 The rings came in a handy red box, as rings usually do. Tadaa ! 750 white gold and a 2.2 mm diamond for the lady. 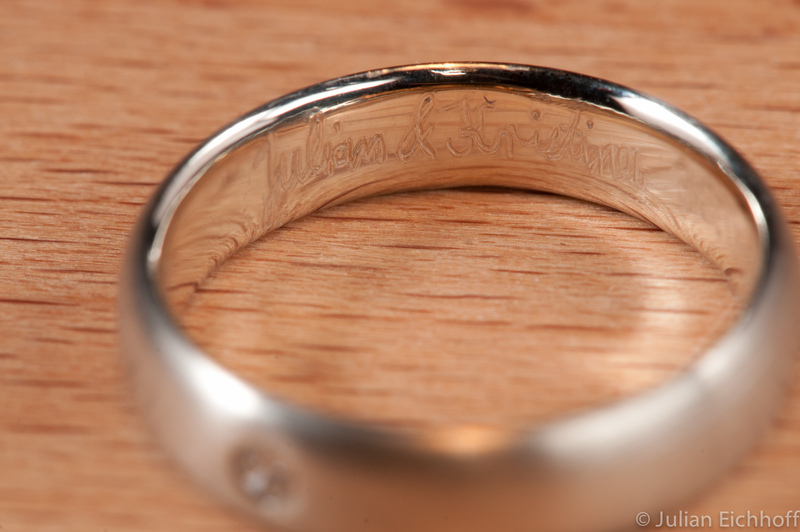 Names and date are engraved with our own handwriting. We wrote the text on a sheet of paper and the goldsmith traced the lines with the engraving machine. Nikon D300s with the 105mm f2.8 VR macro lens. 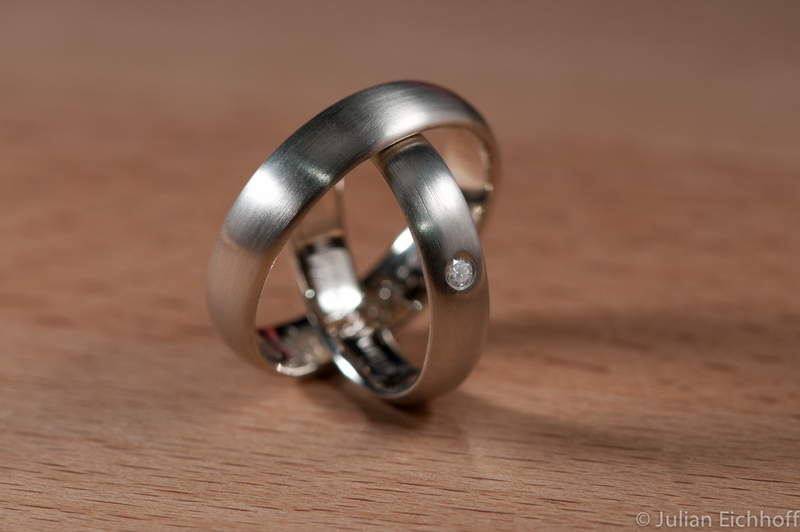 Rings placed on my desk, flashes set next to them and angled downwards. a piece of paper was taped before the flashes to soften the light. Flashes from left, right and front. Shot with a high aperture number to receive a good depth of field (shot at f10 and f20). The shutter speed of 1/60 sec is the normal flash sync speed pre-set in the camera.